When you think about a typical solar energy installation, what comes to your mind first is probably a rooftop array. But there are a number of ways to take advantage of renewable energy when your roof isn’t an option or if you’re seeking something more unique. Sometimes it’s just not possible or cost-effective to install a solar array on a rooftop: perhaps the angle is not optimal, or the larger roof areas are facing the wrong direction, or your home or business has roofing materials that would make installation problematic. But you don’t need a roof to go solar. If you’ve got some space on your property or a parking area, you have options. 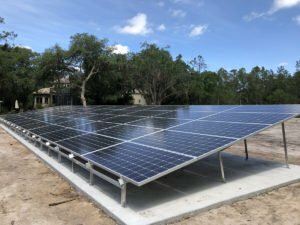 Around the world, home and business owners are mounting solar arrays on the ground, on poles, on barns and sheds, greenhouses, and carports as well as building amazing parking canopies that provide shade while collecting energy from the sun. 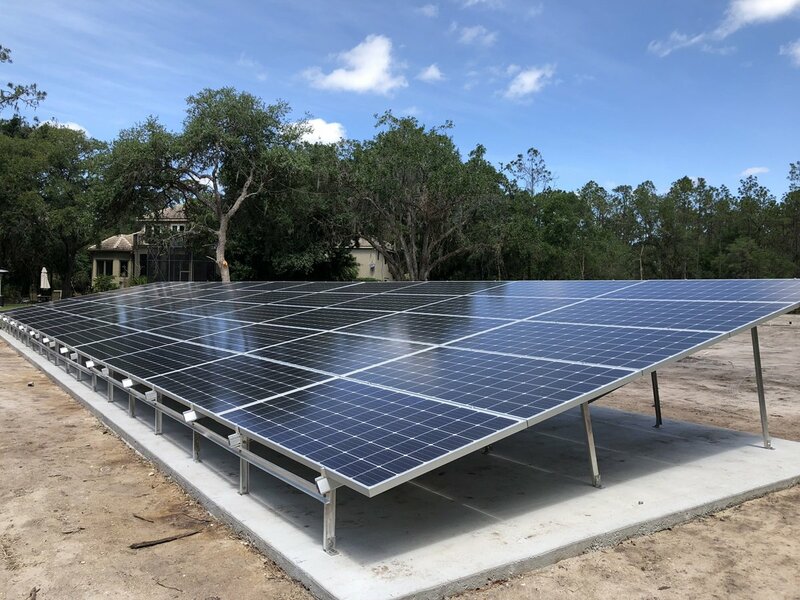 There are many benefits and few drawbacks to utilizing ground mounted solar (pictured below left – a recent Brilliant Harvest installation). It’s simple to install, easy to maintain – because it’s easier to get to and inspect – and the panels don’t have to match your roof angles, so you can achieve the angle necessary for maximum power collection. Additionally, if you have an older roof but aren’t ready to reroof yet, you can avoid putting a brand new array on an older roof. Plus – let’s face it – some folks just don’t like the look of solar on their home. For many solar adopters, ground mounted solar is a win-win! These are custom built to complement existing landscape and parking lot configurations and don’t require a large footprint. 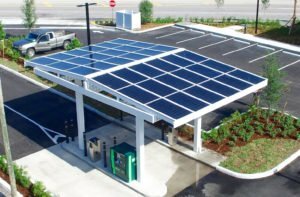 Many businesses are enjoying the added visibility the height of these installations provides to showcase their commitment to energy sustainability. You can group multiple poles to boost the overall collection capacity. The primary drawback of pole racking systems is the cost of the additional materials necessary to install. We think these are really cool: parking canopies add dual functionality to parking areas. In addition to the energy benefits, they provide shade. Where there are EV chargers, parking canopies provide net-zero energy. A parking canopy can be constructed as individual carports or as a continuous structure. There are additional installation costs and each parking canopy must be custom-built for each site and array specifications. 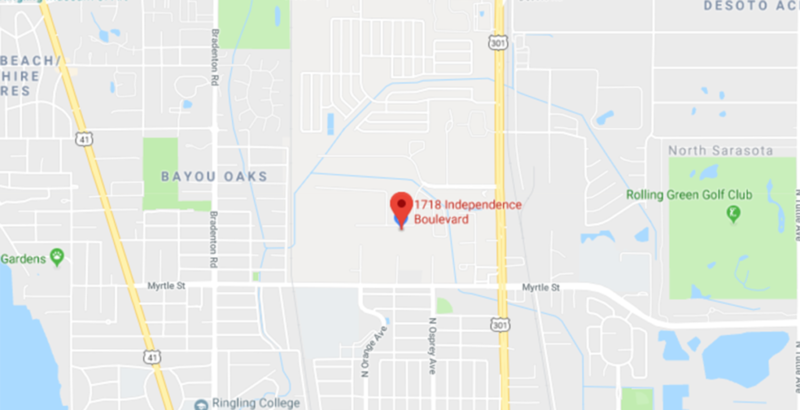 The good news is that they can utilize space already being used for another purpose and create premium, shaded parking spots for the clients of a business or organization. For a project that is similar to an individual carport, we recently installed solar on drive-through teller lanes for a local bank (see photo above right). Other options being designed or beginning to hit the market: Lumos has designed technologies that can be installed in patio covers, carports, skylights or balcony railings; Onyx Solar has created photovoltaic glass that can be installed on buildings and fitted onto outdoor furniture (enough to charge electronics) – they are also working on PV glass tiles; and scientists are still working on solar windows that we can see through. The Lift system: Has a modular design that enables the user to position its arms and solar panels to balance energy production and aesthetics. The system can be painted any color and lighting and messaging can be added. Very cool. The VTree solar tree: Includes an elaborate exterior high output construction, a solar charging tree, and a solar lightning leaf. Scroll down the page for photos. Solar forest EV charging system: Coming soon – maybe – is the solar forest EV charging station made up of an evergreen glade of solar trees. Features charging plus a shady spot for cars to park. If you are seeking something different from your solar array, please contact us. We’ll be happy to help!